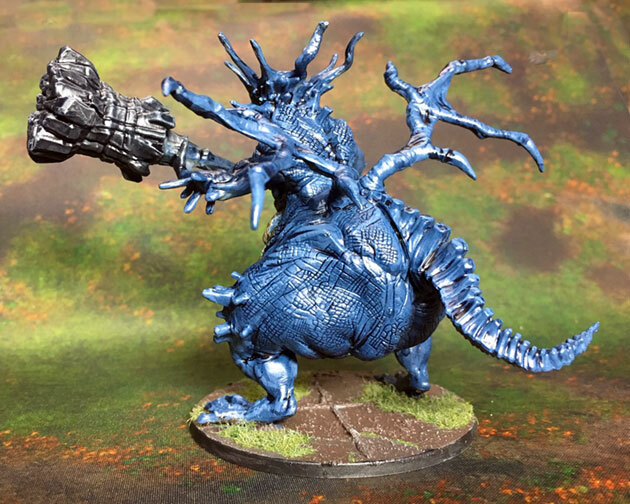 Board Games - The Asylum Demon is a massive monster for the Dark Souls Board Game. From what I’ve read it’s the first Boss Monster you face in the video game. It has a massive hammer and non-functioning wings, the skin texture on this model is pretty amazing it looks similar to an elephant and is deep enough that the detail really comes through. Board Games – Zombicide was quite the phenomenon when it first launched, after numerous modern day expansions and exhausting what you could do with the game, CMON revamped it to a fantasy setting alla Army of Darkness and started cranking out expansions to a more polished version. Board Games – Temple of Doom is by far my favorite Indiana Jones movie. It was the first one I saw in the theater and I still have my metal lunchbox that I got that year. Pulp adventures looting tombs, archeology and ridiculous characters make for a fun time in any story. The Adventures: Temple of Chac promises to deliver all of those things in a fun little game. Board Games – Shadows of Brimstone Indian Warriors. There’s really not much to say about these. They follow the same mold as the other expansions I’ve painted. One-two nice sculpts repeated to fill out a set. These are pretty much just enemies from what I can gather. I stuck with a simple paint scheme on these that I think works well. Cadian Fleshtone with a Reikland wash seems to be really close to the right skin color for Native Americans. Boardgames - It's interesting to paint models for a game where the models are supposed to be secret until you open them up and reveal them during the course of the adventure. The first six miniature my client provided me are what I think are the heroes. She provided a few screen-grabs of schemes she liked that I tried to mimic. Board Games – Firefly was a pretty great show that Fox killed before the first season was completed. The resulting uproar and anger from the fans eventually resulted in a movie being made as well as several games based on the IP. Firefly Adventures is the latest of those. Boardgames – Shadows of Brimstone is one of those games that can go anywhere. Initially I thought it was just an Old West style game but every commission I paint seems to go further than the last. Most recently I worked on a Flesh-Stalker and Flesh-Drones. This is one of the mini-expansions with a Boss Character and minions rather than one of the big box releases. 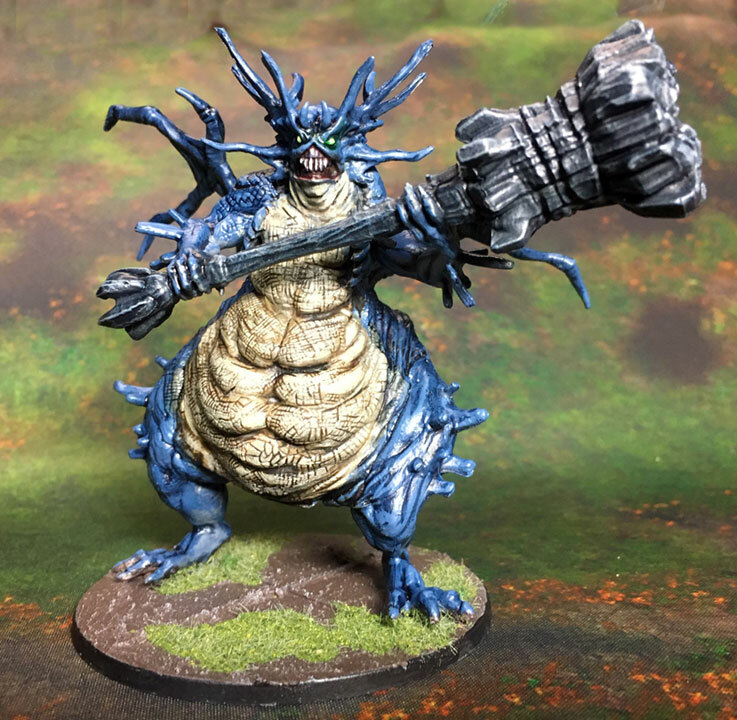 Board Games – Typically when I get a new client they give me a small batch of minis to "test paint" before moving on to the rest of their collection. My newest client opted to send me back to the wastelands with a small batch of models from the Fall-out Board game. Sadly I never made it very far in Fall-out 3 and haven't looked at any of the other games so my knowledge of the game is based mostly on popular references and looking back at the Collectors Edition guide I picked up when Fall-out 3 was released many moons ago. Board Games – My board game clients are always bringing me something new and different that I I've either not played or not heard about, but wind up intrigued by the models. Stuffed Fables is one of those games. The concept of a family friendly game that takes place completely on a self contained "book" that also acts as a board is intriguing. I might need to do some more research into this game as it might be a good fit for my kids. Board Games – Ice monsters are fun. The idea of walking along and having something giant pop out of the ground to eat you is pretty scary. I recently saw a trailer for another Tremors movie that takes place in the Arctic. Fun stuff. Boardgames – Last year I worked on a large batch of minis for Lobotomy the board game from Titan Forge games. This was a kickstarted board game that had quite a few add-ons. My client had missed the Kickstarter but was able to track down some of the extras by contacting Titan Forge directly. The results are the next batch of minis to hit my painting table.